Understanding the individual preferences of each home-owner is a programmatic factor essential to good design. Custom luxury residences and large scale housing developments alike, each dwelling must meet the functional, cultural and lifestyle needs of the resident. KY International strives to achieve design excellence by creating homes that are spacious yet efficient, cost effective yet valuable. Most importantly, each design provides a comfortable dwelling and aesthetically appealing character unique to each homeowner. Luxuriously designed on the forested banks of pristine waterways in a secluded valley, The Hidden Valley Resort at Emerald Cascades will be the finest private resort community in the region and a coveted weekend getaway spot. The site’s tranquil setting and natural beauty make an ideal location for a new residential community. The Regal Palace Springs Hotel in Guangzhou features over 20 resort villas that range in size from 300 to 425 square meters in living area. Guests enjoy all the benefits of hotel service, but with the privacy and intimacy of your own villa. 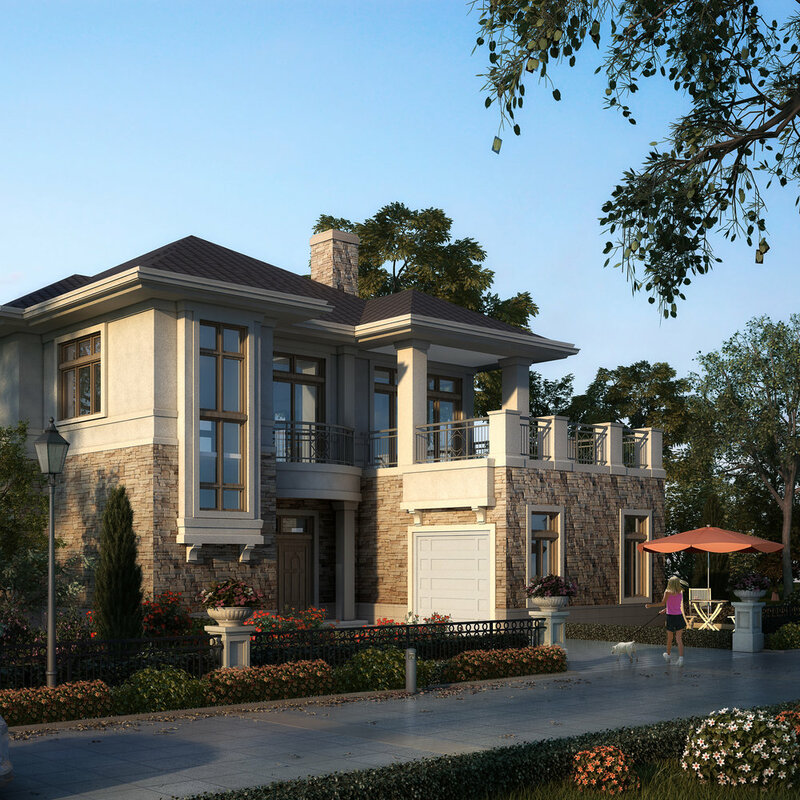 The residential Villas on A3 Island are designed with European architectural styles in mind. These sprawling homes, with an average living floor area of 1,160 square meters, boast spacious estates with generous pool decks to host pool parties and outdoor gatherings. Every waterfront villa is equipped with it’s own private boat slip to dock a yacht or other seafaring craft. 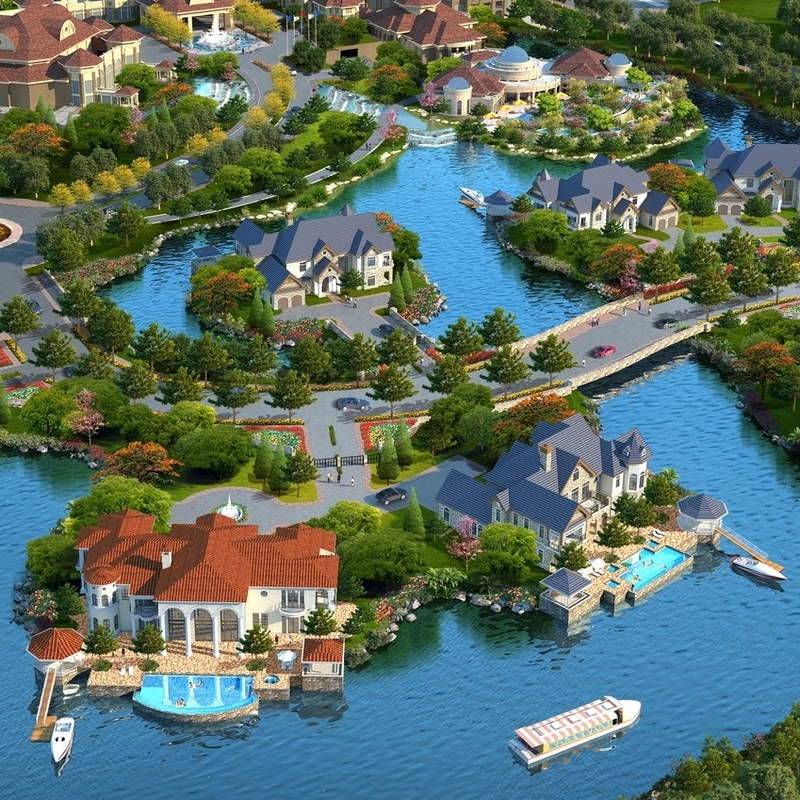 Set in the lagoon of the Weifang Binhai Resort, these island villas expand the guest experience of the hotel resort into the highest tier of luxury accommodations. These waterfront villas include ample pool decks equipped with boat docks for private boats to ferry guests directly to the hotel lobby dock.